One of the best things my mom ever taught me was how to braise leeks. And now I’m sharing her secret to leek perfection, because no one should have to go through life without eating these! 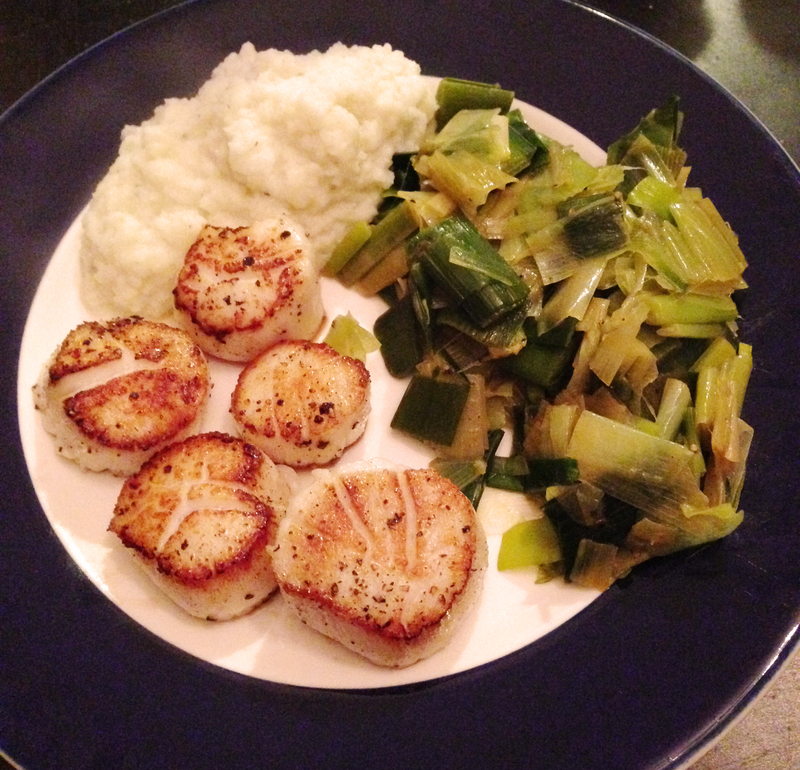 While I’m at it, I’m throwing in how to make the kohlrabi mash we had tonight to accompany the braised leeks and seared scallops. Our whole meal tonight came from the Park Slope Sunday farmer’s market. I love shopping at the farmer’s market whenever possible, not just to support the local farmers but the food tastes so much better too. Leeks, especially when fresh from the farmer’s market, are notoriously full of soil, so washing them well is a key first step. Cut off the bottom and very top (about an inch and a half of the darkest green) and then slice open lengthwise. Then cut each half stalk into about three sections, and rinse well under cold running water, fanning out the layers. Finally soak the leeks in a bowl of cool water for about 15 minutes, swishing them around a few times to release any more soil, and then give them once last rinse. After draining, chop the stalks into about 1/2 inch slices. In a large pan, melt 1 tbsp butter and 1-2 tbsp olive oil and add the chopped leeks. Saute for about 2 minutes on medium-high heat, add about 1/8 of a chicken or vegetable bouillon cube, and then start gradually adding very small amounts of water. The water will boil off quickly; add a little more as soon as the pan looks dry. Keep doing this for about 10 minutes, or until the leeks are soft, stirring as you add the water. When the leeks are soft, add about 1 – 1.5 ounces of whiskey, stir, and let simmer for about 5 more minutes. At the end, add fresh pepper, a little salt if needed, and a generous squeeze of lemon juice. 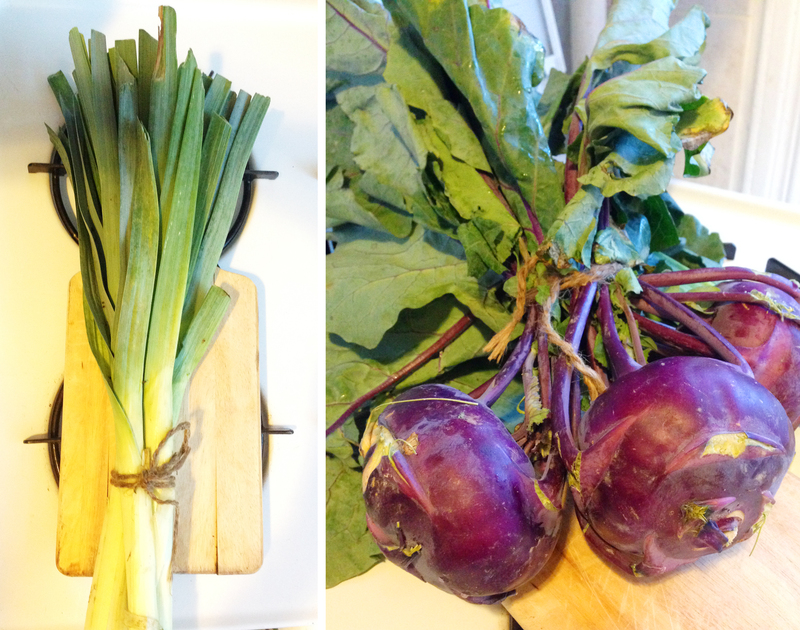 For the kohlrabi (we used purple kohlrabi tonight, but the green/white and purple both taste the same), remove the leaves (you can use these in another dish, stir fried or steamed), and peel off the tough outer peel. At this point I usually slice off a few little pieces to eat raw because it’s so tasty, and then cut the bulbs into quarters, and boil them in lightly salted water for about 30 minutes. 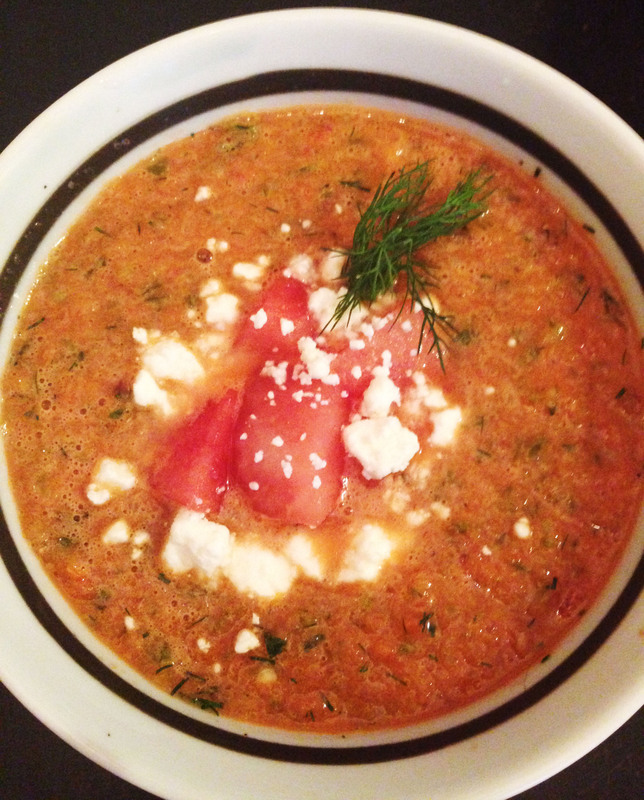 When soft, add about 1/4 milk, 1 tbsp butter, 1 tbsp olive oil, and puree with a hand blender or food processor. Add salt and pepper to taste. And in case you’re wondering, there is no real recipe for the seared scallops. My husband is usually in charge of the scallops, and he just dries them well, seasons with salt and pepper, and sears them for about 2 minutes on each side in very hot mixture of coconut oil and butter. They key to the beautiful golden color is to not move them around in the pan while searing! 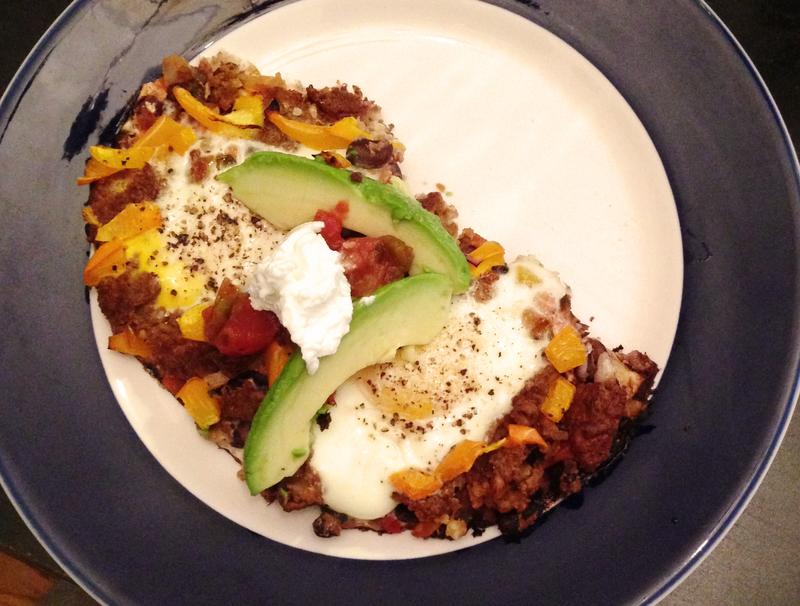 Yes, more skillet brunch recipes, two weeks in a row! The inspiration behind this was some leftover black beans from one of my favorite quick weeknight dinners: baked sweet potato topped with a mixture of black beans with tomato, cumin, and coriander, salsa, plain greek yogurt, and a sprinkle of sharp white cheddar. When we woke up to a very bleak looking rainy day this morning, I decided to make a hearty warm huevos rancheros-esque brunch with the rest of the spiced black bean/tomato combo. If you’re starting from scratch and don’t have any leftover beans, just drain and rinse a can of cooked black beans (I usually use Eden Organic brand: no salt added and BPA free can), add a chopped tomato, a little salt, and about a teaspoon each of ground cumin and coriander. Spray the bottom of the skillet with a little olive oil, and lay a tortilla down as your first layer (I used a whole wheat tortilla). It’s a good idea to slice it in half (or quarters, however many servings you’re making) first, so it’s much easier to get out of the pan and serve at the end. Then add your bean and tomato mix, and a little bit of salsa on top if you like. This is another one of those recipes where you can kind of add whatever you want, so I added some chopped orange bell pepper, and some diced Morningstar Farms hot n’ spicy vegetarian sausage per the husband’s request. Next carve out some small wells with a spoon for the eggs to lie in, and crack the eggs into the wells. Sprinkle with a little coarse salt and pepper, and bake at 400 F for 10-20 minutes, depending how runny you like your eggs. A cast iron skillet was one of the only tangible items we put on our wedding registry. I can’t believe I didn’t have one before — it’s one of those kitchen “must haves” — and although I did have a ridged grilling cast iron pan, I didn’t have a flat bottomed cast iron skillet, which is perfect for frittatas, among other things! So now that we have one (thanks Ben & Evan!) it was time to celebrate not having to study this weekend with a leisurely homemade brunch. Frittatas are great because you can really throw in anything you want. 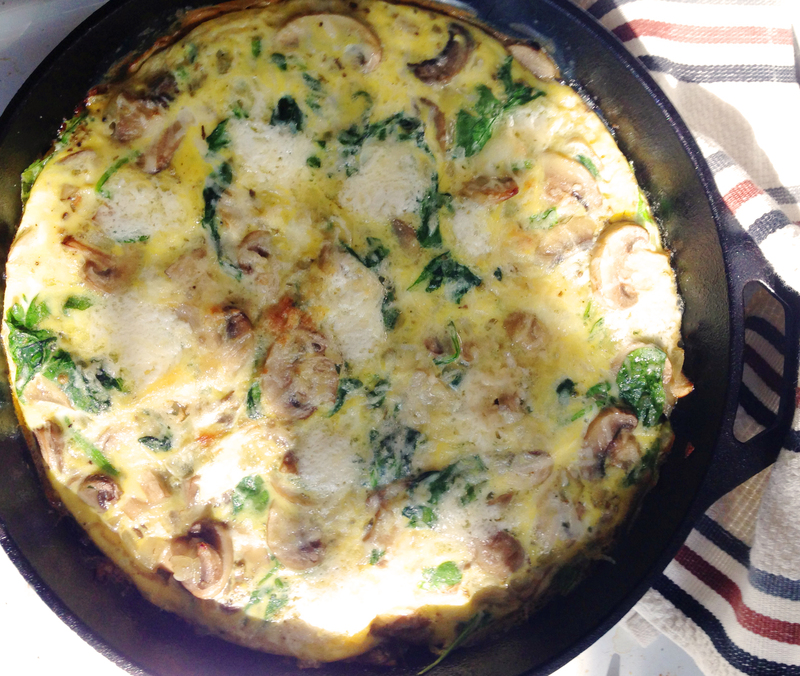 If you ever have a bunch of veggies in the fridge that are looking a little sad, a frittata is a good way to use them up! Today I went with mushrooms, spinach, and ricotta. Onions or shallots of course, are always key as a first ingredient. Start with a generous few “glugs” of olive oil (especially if your cast iron skillet is new; it will need more fat to prevent sticking). Add diced onions or shallots, and let them cook until translucent or beginning to caramelize. 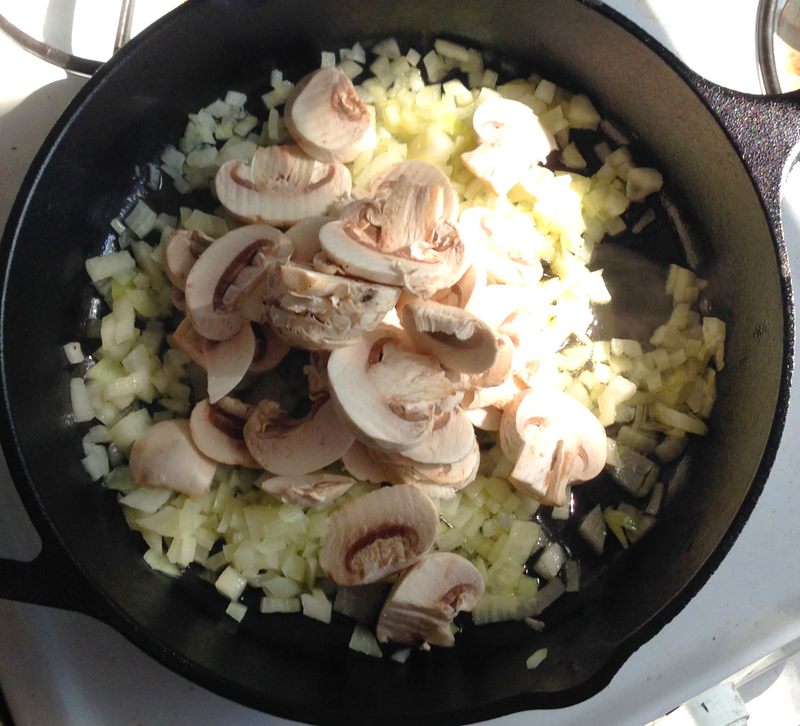 It’s important to really get your onions browned before adding the other veggies if you’re using mushrooms because the mushrooms will start to release a lot of liquid as they cook and then you’ll just have steamed onions. While the mushrooms are cooking, whisk eggs in a bowl (use 4-6 unless you have a very large pan; I used 5 today. I was worried 6 wouldn’t fit in the pan with all those veggies, but I probably could’ve managed it), and add some salt and pepper and some fresh or dried herbs like some oregano or basil, depending on the flavors of your veggies. 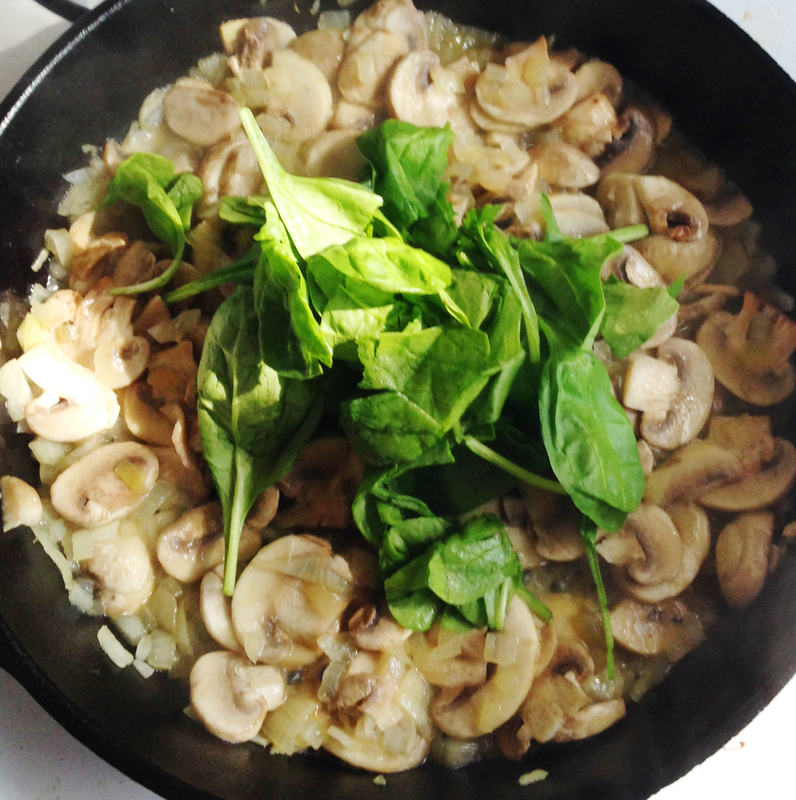 Once the mushrooms are well cooked (they will cook down a lot), add your spinach or other greens and cook until wilted. Then pour the beaten eggs into the skillet and push them around a little with the spatula, tilting the pan to get them evenly distributed. Next add dollops of ricotta cheese throughout, and finish with some grated parmesan on top before moving the whole skillet to a 400 degree oven for about 10 minutes. 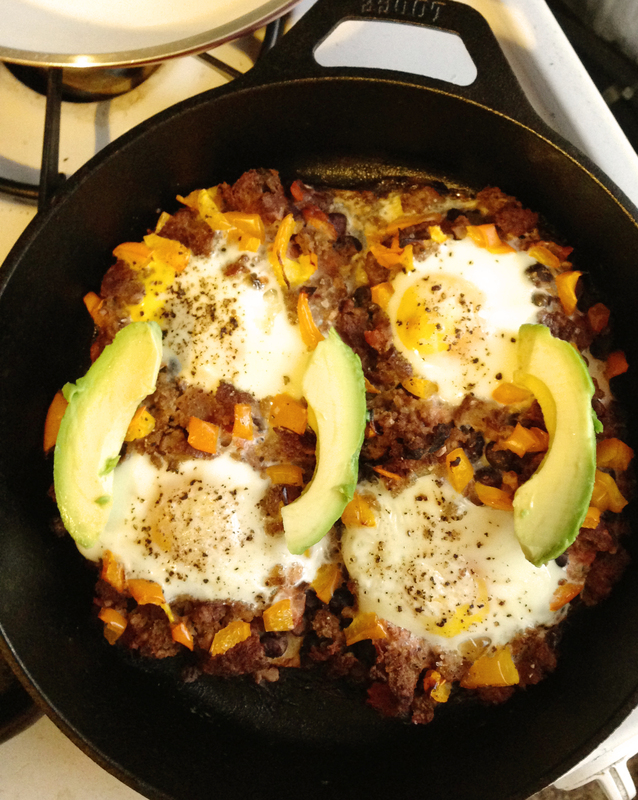 Remember when taking it out that the handle of the skillet is also cast iron – it will be hot! 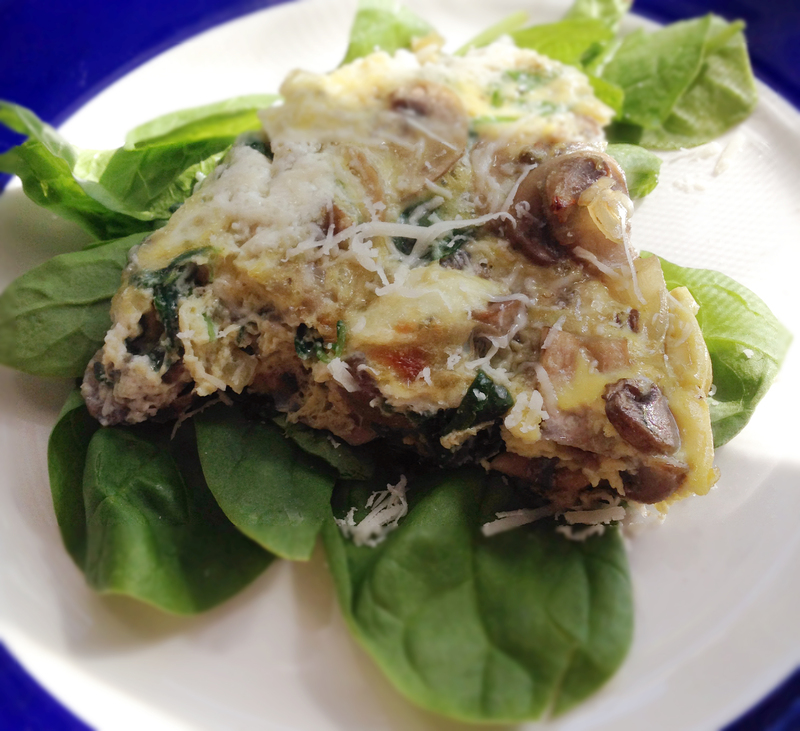 Serve warm on top of more greens or salad, add extra grated parmesan if you want, and enjoy! I also like to add some dried red pepper flakes for a little kick. The saltiness of the parmesan with the heat of the pepper flakes and the sweetness of the onions, mushrooms, and ricotta is perfect. TIP- Keep your skillet seasoned: You don’t need to wash it with soap; just scrub any stuck food off with hot water and a brush/scrubber as soon as possible after cooking, dry it immediately, and spray some vegetable oil on it while still warm. This will “season” your skillet, protecting it from moisture so that it will last longer, and your food will taste better and better. 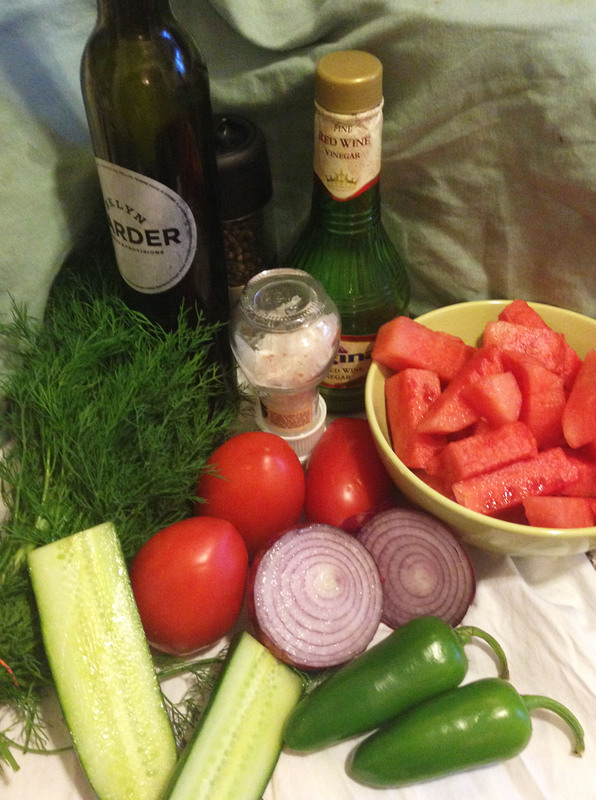 Avoid cooking with acidic foods (like tomatoes) until you’ve cooked with and oil-coated your skillet quite a few times. I’ve heard that a cast iron skillet can last 100 years if treated correctly! My much-neglected blog got a little makeover today… and a new title! Welcome to the new and improved RDeats.com, celebrating my new credentials as a Registered Dietitian. 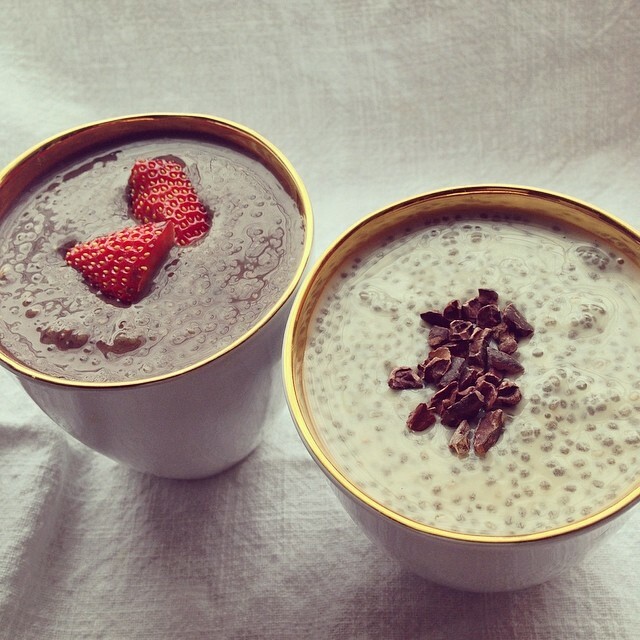 Chia seed pudding is super easy to make, and works as a breakfast, snack, or dessert. Mix about 3 tbsp chia seeds w/ 1 cup almond milk (or regular, soy, or coconut milk if you want), 1 tbsp maple syrup (or sweetener of your choice), and a little pinch of salt. For chocolate, add 1 tbsp cocoa powder, and for vanilla add 1 tsp vanilla extract. Stir well, refrigerate 30 mins, then stir well again to break up the clumps, and refrigerate overnight or for a few hours. Top with berries, other fruit, nuts, cacao nibs… the possibilities are limited only by your imagination!